I've recently restarted playing pc games. My computer is like 6 years old, so as expected I've experienced some serious lagging while attempting to play some of the newest games. Thus, I've started upgrading my computer. My initial guess was that my graphics card is really weak, so what I did was buy a new graphics card (Invidia GeForce GTX 960). Although the graphics are now incredible, SOMETIMES I get a sudden and huge fps drop (like going from 100 fps to 02 fps). The fps stays really low for about 2-3 seconds and then my computer returns to its smooth operation. The situation gets more intense when my computer operates for several hours of gaming without restarting. Also, I've noticed that lately, my computer takes a really long time in order to boot and additionally, it occasionally goes a bit laggy (again SUDDENLY and for 2-3 seconds). Do you think it's a hard disk problem? Should I start looking for a proper ssd? Or could it be that my proccesor is weak? Or even my ram is not quite enough? 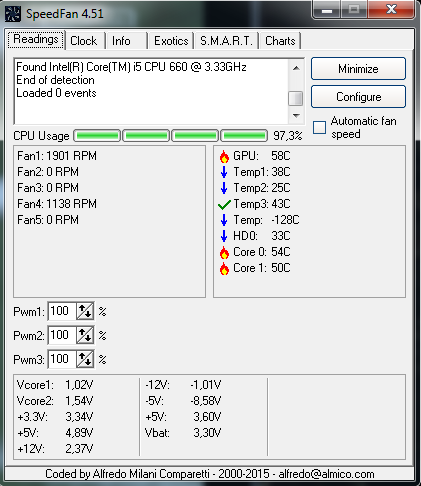 Is it possible that the temperature of the computer gets extremelly high during gaming and causes the lagging? Or do you think a simple hard disk format mighr solve the problem? You have mentioned a couple of possible causes above with overheating and a possible HDD issue, we could do with some additional information to give us a better idea as to which is most likely. Can you post the brand and model name or number for the PSU, the type of case you have and how many cooling fans are fitted and how much free storage space is available on the HDD and any partitions. 1)This is my case ( http://www.coolermas.../centurion-590/) and unfortunately there is only one fan fitted in it (located at the back of the case). Should have asked before but forgot, what are the games that you are having problems playing. Please take expanded screenshots and only use the method below to attach them. I play CS:GO and league of legends and it looks like I'm mostly experiencing the heavy lagging during teamfights (generally when lots of people are concentrated in the same area of the map). I also run some racings simulators such as: Asseto Corsa and again, it does not get laggy until lot's of cars are concentrated at the same area of the track! Please post the requested HWMonitor screenshot and only use the method that I included in my reply #4. Looking at the Speedfan screenshot everything looks ok albeit there is no +12V reading from the PSU, HWMonitor will hopefully report it and the reason why screenshots of the two were requested. At the moment I am suspecting that it is your internet service that is the problem. I'm not really sure that the internet connection is my problem. I get fps drops while playing ASSETO CORSA mostly in single player mode, when lots of cars are concentrated in a small area of the track. When these fps drops occur I get this message from the game: (CPU USAGE>99 %). That's why my initial guess was that my proccessor might need an upgrade. Any thoughts on that? Is Assetto Corsa not an online game only, have to ask having not played it myself. The minimum Intel CPU requirements for the most demanding of your games Assetto Corsa is a Core 2 Duo 2.4 GHz so you are well covered. 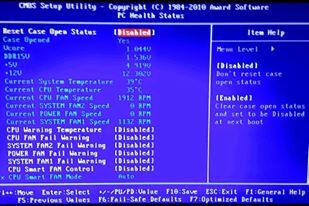 Can we have the HWMonitor screenshot please. The +12V is not reading right so needs to be checked in the BIOS. 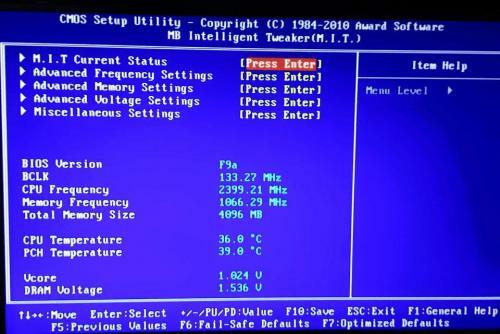 Please restart your computer and check the temperatures/voltages in the BIOS, no screenshot is required just make a note of the temperatures and the +3.3V, +5V and the +12V and post them with your next reply. The readings are not conclusive in the BIOS as the computer is under the least amount of load, if they are higher or lower than what they should be though it does suggest a PSU problem. 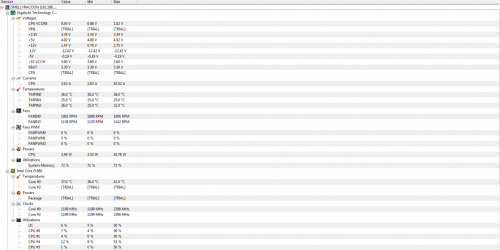 I know you said no screenshots needed, but I'm posting these just to make sure you get all the info you need. Additionally I'm posting this screenshot. This is a speefun screenshot while I was getting lags in FIFA 15.
edit: Asseto Corsa can be played both in an offline and an online mode. Edited by StaveD, 10 February 2016 - 09:52 AM. Your first screenshot shows that six safety features are disabled when they should in fact all be enabled to prevent your CPU from frying. Your second screenshot shows that the CPU temp and voltage are ok but the voltage going to your Ram is marginally high at 1.536V, it should be no more than 1.5V. 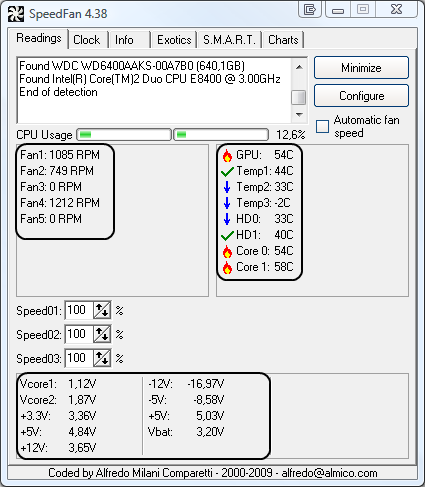 Your Speedfan screenshot shows high CPU usage and temps and the GPU high temps, this to be expected after playing a game that requires a 2.4Ghz quad core CPU as a minimum but your processor is only 2 core. 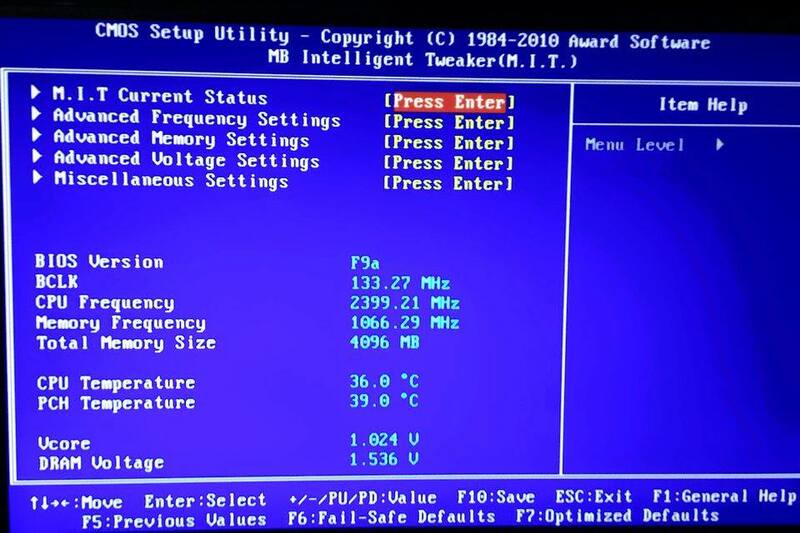 We cannot see any +12V reading in the BIOS and the reading that is shown in Speedfan is bogus as the computer would not boot if the +12V rail was so low, not having a proper +12V reading from the PSU or BIOS means that we cannot say for sure if the PSU is bad. A bit of messing about to do Im afraid but it is necessary to make sure that your CMOS battery is not dead and that your safety warnings stay enabled in the BIOS. Please restart the computer and access the BIOS, check that the time and date are correct, if not set them correctly, press F6 to load the Fail Safe Defaults, check the time and date are still correct, save the new settings (commonly by pressing F10) exit the BIOS, shut down the computer, disconnect all power from the computer, press the case power button for 20 to 30 seconds to get rid of any residual charge in the system, connect the power, power up and access the BIOS to check that the time and date are still correct and that the bottom 6 warnings are enabled in the BIOS. So I accessed my BIOS and the time as well as the date seemed to be set just fine. Then I followed your instructions correctly and after restarting my computer all 6 safety features were enabled and ofcourse the time and date were still set ok.
Any suggestions on what should I do next? Is there any chance of doing something that can indicate if the PSU is faulty or not? Would some additional RAM or a brand new motherboard or even a proccessor do the job for me? Is there any chance of a damaged Hard Disk Drive? Both are a good sign, you will at least know if your computer is overheating before it is too late. Upgrades are secondary here if the PSU is flaky but fwiw if you like gaming a quad core CPU and 8GB of Ram would be my suggestion, the 8GB of Ram only if your OS is 64-bit.